Bowery Hill Wall Display Shelf in Black by Bowery Hill at Momiji Studios. MPN: BH-3416. Hurry! Limited time offer. Offer valid only while supplies last. With its unique design, this wall display shelf can be mounted above the Computer Desk (sold separately) to store books, papers and computer disks. 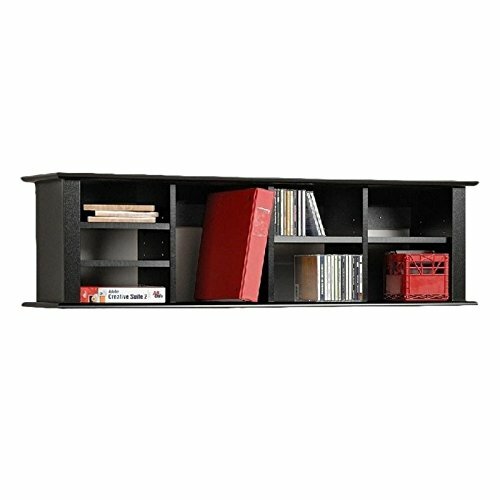 With its unique design, this wall display shelf can be mounted above the Computer Desk (sold separately) to store books, papers and computer disks. It can also be used on its own as a floating bookcase for collectibles and accessories.